The T-Drive CC testing machines are specially designed to perform tests in tension only. 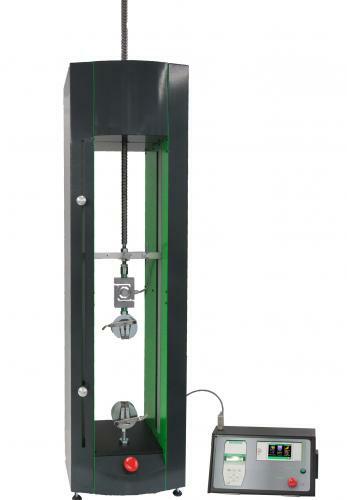 These are ideal instruments for measuring force on plastic samples, cables, terminals, adhesives, crimps and on various other types of materials. 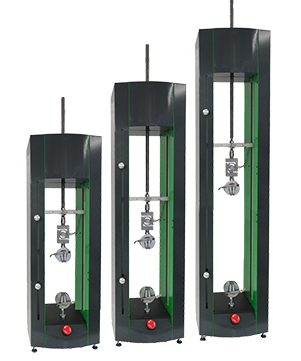 They are designed to perform simple or complex tensile tests in quality and production laboratories. Driven by a computer, the test system allows the operator to program test sequences in several stages and easily save the results. The intuitive interface of the included Califort software makes it easy for both programming and use by operators. 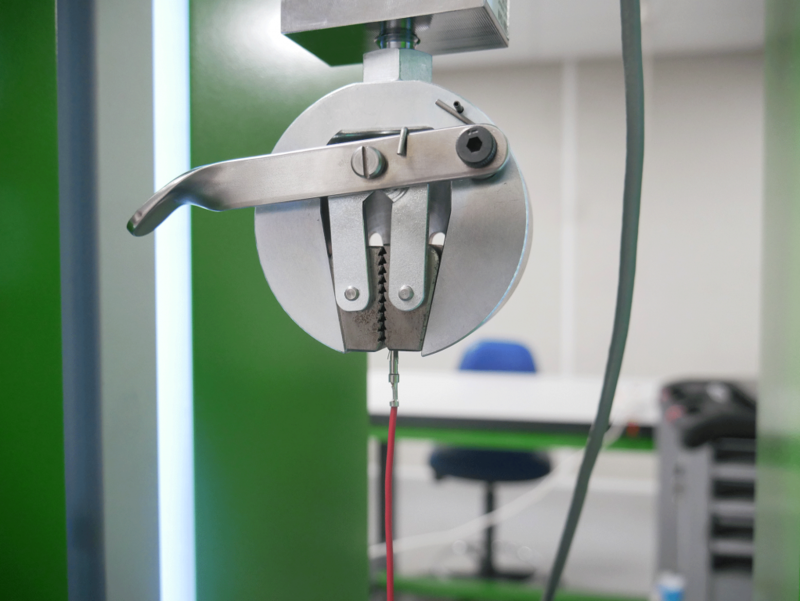 The T-Drive CC’s range is particularly suited to the following tests: breaking of wire terminals, lugs or cables, elongation of plastic, peel tests, coefficient of friction tests and tensile break of numerous materials, including fabric, cord, rope, metal, rubber and plastics. 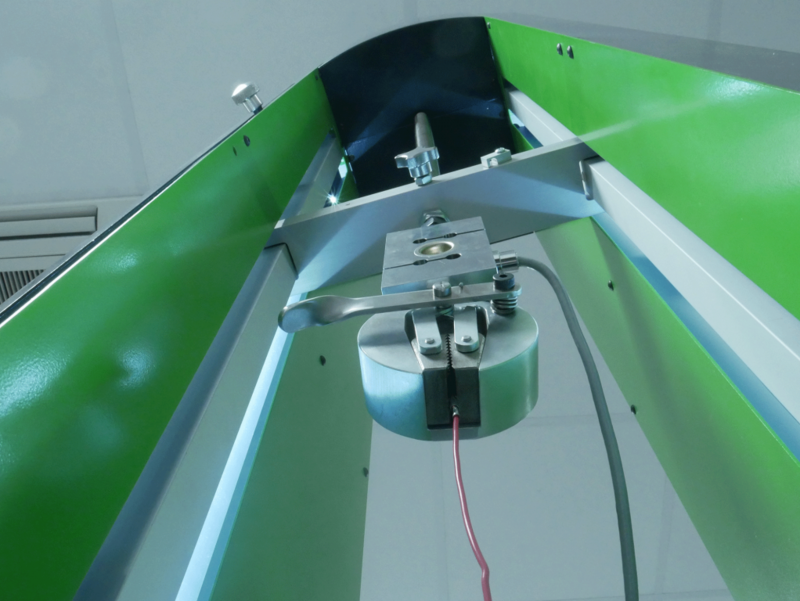 The T-Drive CC test machines are controlled by the Califort software. This software allows you to carry out advanced tests with sequential programming. 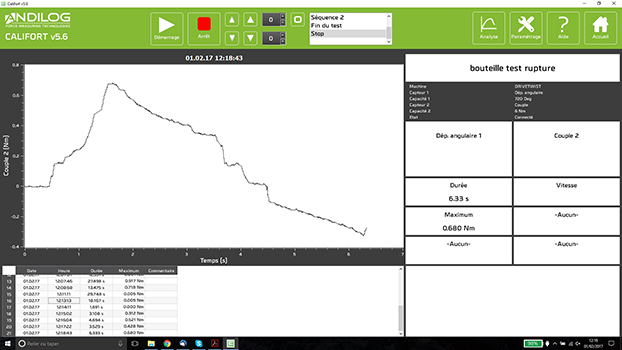 It acquires and displays the force / displacement measurement curves and automatically records the results of your measurements (break, average ...). The Califort software allows you to export your data in Excel for use in a database or for further analysis. It also publishes reports under Microsoft Word for archiving or transmission to customers. The T-Drive CC is programmed in sequences. You simply define sequence by sequence what the test stand must do (up / down, what speed, stopping conditions) and the calculations that must be performed. Once programmed the sequences are saved and protected by password. The operator just has to load the program and press start to run their test. 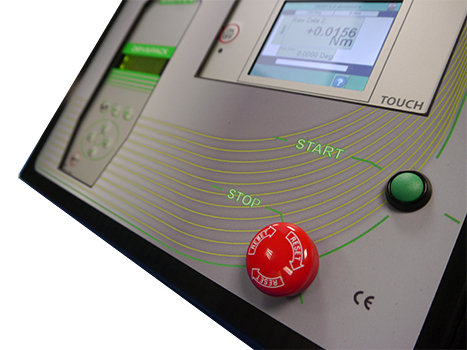 The T-Drive CC test machines have a separate controller for manual control and force measurement. 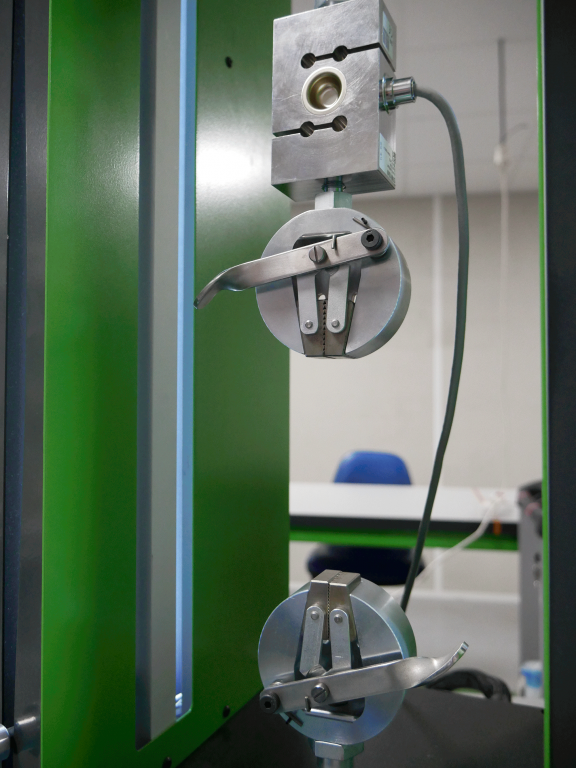 The manual control console is used to move the crosshead of the test machine to position itself before measurements or to adjust after the initial tests. It shows the travel speed and position in real time. It features variable speed settings. The measurement interface incorporates a color touch screen allowing use of the machines without software or for manual procedures. 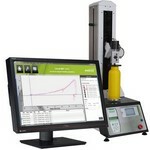 This interface displays in real time the measured values of force and displacement. It can also be used to program simple test sequences.